Rev. Dr. Roosevelt Hughes, Jr.
​Pastor Hughes is a native of Mississippi, and is the devoted husband to Grace Hughes, a native of Ghana, West Africa. They have been happily married for over 40 years, and are blessed with three grown children and two beautiful grandchildren. Pastor Hughes moved to Worcester, Massachusetts, from Nashville, Tennessee in August of 1983, to become the Senior Pastor of John Street Baptist Church (JSBC). His mission is to make disciples of Jesus Christ as JSBC pursues the city of Worcester, Massachusetts and the nations for God. He is a godly example of a leader and a family man, and is a strong advocate of continuing education and teaching the faithfulness of God to all generations. Pastor Hughes is a mentor to pastors and is a noted community activist. He is committed to world missions, community outreach, and evangelism. He sponsors ministries in India and Uganda, and is the overseer of the Prayer Centre Mutungo (Uganda) where Pastor Jesse Balabyekubo is the Senior Pastor. He is the President of International Ministries Institute (IMI) – a ministry school providing diploma and certification in introductory theological training to equip those involved or interested in ministry. He is currently on the Board of Directors at Redemption Christian Church International and has been the Worcester Protestant Fire Chaplain since 2001. Pastor Hughes completed a Bachelor of Arts in Sociology from Lane College. He received a Masters in Sociology of Religion from Fisk University under the mentorship of the noted scholar and author, Dr. C. Eric Lincoln. Pastor Hughes attended Vanderbilt University where he is an alumnus of the Kelly Miller Smith Institute Pastor’s Forum. He earned a Doctorate in Ministry from International Seminary, as well as an honorary Doctorate in Divinity from the International Bible Institute. He is currently pursuing a Ph.D. from Trinity College of the Bible and Theological Seminary. Pastor Hughes was the first President of the Worcester Black Clergy Alliance (WBCA). 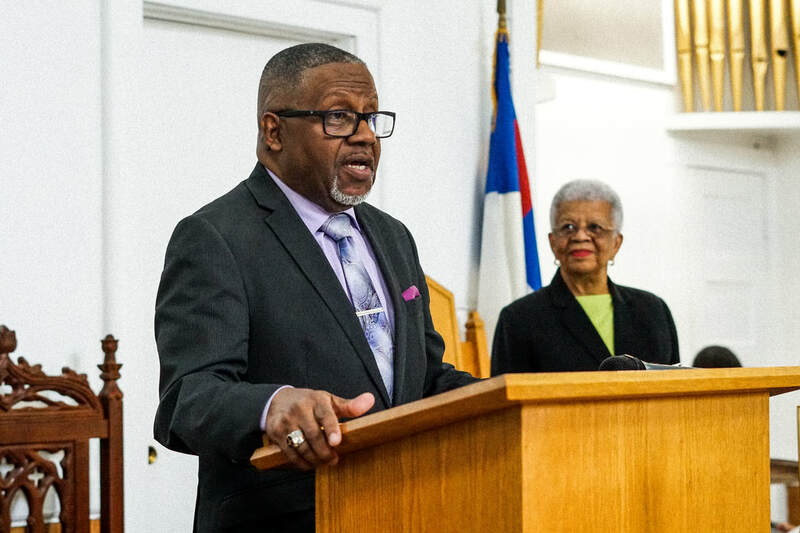 He is the 2008 Inaugural Class President of the Worcester Clergy and Police Academy, and the former Vice President of the Executive Board of the American Baptist Churches of Massachusetts. 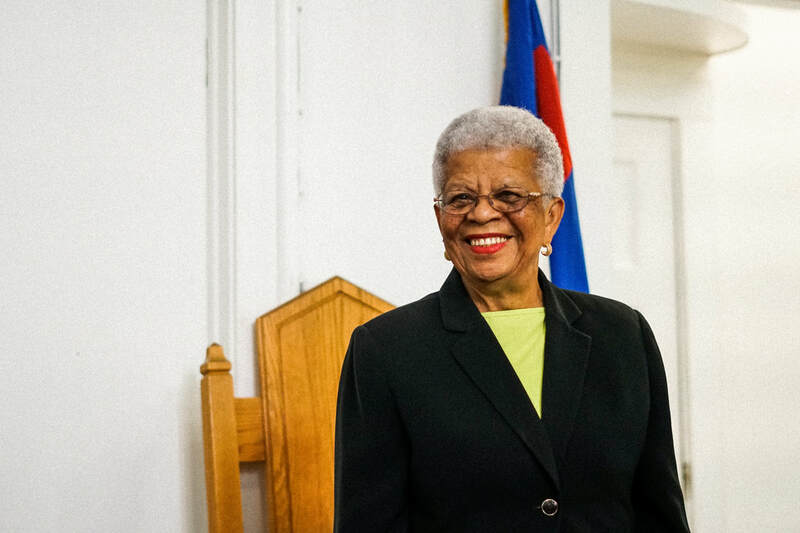 Pastor Hughes is a former instructor at the United Baptist Convention of Massachusetts, Rhode Island and New Hampshire Congress of Christian Education. He served as the Protestant Chaplain for the Harvard Nursing Home from 1984 to 1988. He also was the Vice Moderator of the Central Association of the American Baptist Churches and an Advisor for the Youville House, a temporary family shelter. Pastor Hughes has served on the Board of Directors for the following organizations: the Worcester Area International Faith Coalition for the Homeless, the Worcester Martin Luther King Center, and the Greater Worcester Community Foundation, Inc. (GWCF). Listen to Pastor Hughes' encouraging messages by visiting the Sermons page - HERE.